A medical start-up company looking to transform cancer treatment partnered with PEKO to leverage our engineering resources, large scale manufacturing capabilities, and ISO 13485 compliance. The business’s core science was well defined, however they needed PEKO’s experience to develop a production worthy design, which would allow their technology to consistently provide the highest quality results, while meeting stringent medical industry requirements. The critical nature of this design and application was paramount. This project utilized nearly all of PEKO’s vast capabilities. The mechanical complexity combined with the precision of the controls system, all needed to be closely monitored and documented within our Quality Management System. This included inspection, configuration control, validation testing, and more, to ensure approval to meet FDA compliance. Our collaboration with the customers engineering group allowed for a clear understanding of the critical parameters and exposed issues within the customer provided prototype design. Rigorous analysis, test, and prototyping efforts were keys to the successful development of the complete system. 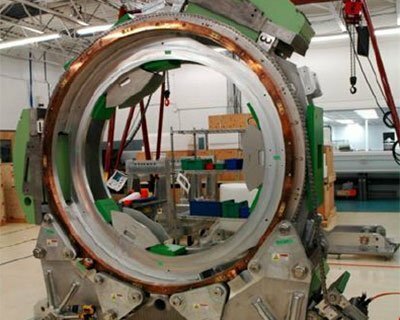 While continuous design improvements are implemented, PEKO continues to fabricate, assemble, test, and qualify the equipment in house, then ship to the world’s top cancer treatment centers. This customer has developed new industry changing technology that PEKO has integrated into the medical equipment which continues to reshape cancer treatment protocol. PEKO’s strict adherence to ISO 13485 is consistently in the spotlight throughout the validation of each and every unit built. The strength of this partnership has also allowed PEKO to help support additional aspects of this customer’s business, as volumes and expectations continue to increase for this game changing technology.